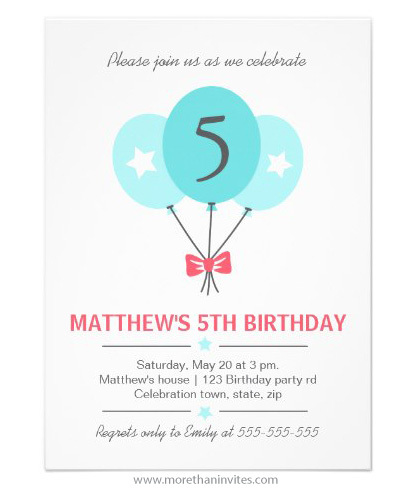 Stylish birthday party invitation suitable for both boys and girls featuring turquoise aqua blue balloons with stars tied with a bow. Customizable birthday age on one of the balloons. On the back is a pattern of aqua blue, diagonal stripes. Other coordinating products are also available.